Three gang moulds for prisms 40 x 40 x 160mm is made of cast iron. It conforms to be above mentioned standard. It conforms to be above mentioned standard. 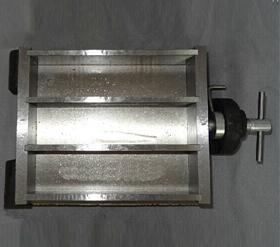 The mould is used for casting specimens of cement aggregate mixture for measuring the flexure resistance test in cement mortar lab .